If you've been waiting for Ascension to begin, lo these many years, you can stop right now. Then, slowly read the message below and try to wrap your addled 3D mind around the fact that you are ascending in consciousness RIGHT NOW! The physical body is your first “resonance receptor” to receive the ever-expanding higher frequency energy patterns that are entering your daily life. Your brain controls your body, but your body also controls your brain. Your heart has the final say, especially once it transmutes into your High Heart. Through out this transmutation, your physical mind and heart must work together within your ever-expanding consciousness as your physical brain transmutes into your Multidimensional Mind and physical heart into your High Heart. Your Multidimensional Mind perceives and accepts the higher frequency thought forms of interdimensional thoughts and shares them with your High Heart. Then your High Heart accepts and translates these higher frequency thought forms by combining the interdimensional thoughts with the interdimensional emotions. With thoughts and emotions combined, the translated Light messages are shared with your Multidimensional Mind. 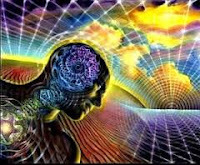 In this manner, your Multidimensional Mind and High Heart collaborate to reset your Earth vessel’s perceptual field baseline frequency from third dimensional – to fourth dimensional – to fifth dimensional. In this manner, instead of perceiving your reality as being third dimensional with fourth dimensional overlays, the fourth dimension becomes your primary reality, and you perceive the third dimension as more of a “memory” rather than an on-going reality. It is in this fashion that you are shifting your belief systems and thus the overall operating systems of your physical body. Eventually, you will no longer perceive that you are a third dimensional human who is having fourth dimensional dreams. Instead, you will perceive yourself as a fourth dimensional Being who has a lower frequency third dimensional SELF who is anchoring your Portal into the physical body of planet Earth. This perception of Self is the first step of shifting your “operating system” from a third dimensional operating system to a fourth dimensional operating system. Once this perceptual shift occurs, you begin to seriously attune your attention toward the fifth dimension, which is increasingly entering your expanded perceptual field. At first, this fifth dimensional perceptual shift is not to perceive because this dimension has a completely different operating system than the third and fourth dimension. Whereas the third and fourth dimensions are time/space realities, the fifth dimension has an operating system of here/now. Just as the third and fourth dimensions resonate to time, which creates space, the fifth dimension resonates to the timeless NOW of the ONE. Fortunately, once your Multidimensional Mind and High Heart are “online” with your daily consciousness, your perceptions greatly expand. Via your Multidimensional Mind, you can perceive and consciously accept interdimensional energy waves into your 3D brain. Then you can integrate these energy patterns into the ATMA of your High Heart where your Three-Fold Flame of Infinite Wisdom, Multidimensional Power, and Unconditional Love can easily translate all interdimensional Light messages. These translated messages are then shared with your Multidimensional Mind, who sends them into the Pituitary Gland of your physical form. You Pituitary Gland perceives the resonance of the frequency and energy patterns and distributes the message of these patterns with your physical body via your adrenal system. Fortunately, with merging of your innate interdimensional Wisdom, Power, and Love within your ATMA, your third/fourth dimensional brain begins to transmute into your Multidimensional Mind, which can easily “read” and totally “understand” any higher dimensional messages. You often do not realize the complexity of your ability to “channel” higher dimensional messages. However, as you become consciously aware of these higher frequencies of Light that are coming into your consciousness, your higher dimensional frequencies of SELF will assist you to remember how to interpret these energy waves via your physical Earth vessel. The first step of interpretation is to consciously recognize that you have just received an interdimensional message. Each of you will discover your own manner of “knowing” that a communication has come into your awareness. As we have said, if you set aside a certain time and place to which you return on a regular basis to meditate, your third dimensional brain will remember that “time” and gradually become accustomed to the “feeling” of an incoming interdimensional message. Initially, this active duty is NOT physical. This initial form of “active duty” occurs within your consciousness. In preparation for active duty in your physical world, you will be called upon to actively transmute the myriad parallel, past, alternate, and simultaneous realities that are running inside of your consciousness. Your consciousness will expand exponentially. 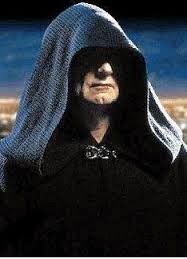 Gaia has been kind enough to offer a planet on which you could play out your “war games.” NOW many of you don’t want war games. Everyone loses in a war, except for the two percent of the dark Ones who pay for both sides of the war and make all of the money off of that war. These Lost Ones are not concerned about the consequences of these wars and other planetary disruptions. They are playing a game with their dark friends and whoever makes the most money wins the game. In your “past,” no one asked how these dark Ones made their money because they were too busy trying to survive in an unjust world filled with wars and agony. But NOW you, our Awakening Ones, are discovering the inner power of your own Multidimensional Minds and High Hearts. Beloved Ones, all humans, even the ones in the “power-over” side, must find their own inner power before they can even consider moving themselves into a higher frequency of reality. “I am doing it now for Gaia,” planetary consciousness. As you recognize that you are evolved enough to think of yourself as serving your Planet, who is an intelligent, living Being, your Planetary Consciousness quickly expands into fifth dimensional Unity Consciousness. It is within this NOW that you begin to remember why you chose to maintain a physical vessel in that third dimension, as well as the specifics of your pre-birth contract, which you wrote before you took this embodiment. 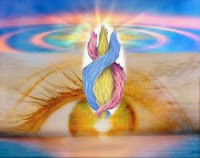 We, the Arcturians, are joyous to say that more and more of you are awakening to the fact that you are not just your physical vessel. You, our volunteers to assist Gaia, are remembering more and more about your true, Multidimensional SELF. 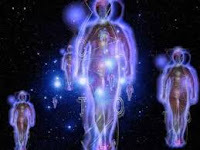 In fact, many of you are consciously connecting with a higher frequency of your SELF that overlights and guides you. 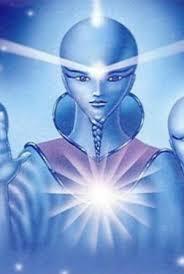 This higher expression of YOU is wearing a Multidimensional Lightbody. Can you imagine how it will be when you know exactly who you are? Can you imagine how it will feel when you suddenly resonate to the fifth dimension of the Here and the Now? Please remember that imagination is fifth dimensional thought that flows from your Multidimensional Mind. Also remember that Unconditional Love constantly flows from your High Heart. It is the activation of your fifth dimensional imagination and your fifth dimensional Unconditional Love that is the precursor to your “flashing into Lightbody.” If you all knew how very close you were to this experience, you would be greatly surprised. Your 3D world has taught you to be “modest” because you were told that it was “conceited” to think too highly of yourself. But we say, “Please, please, think highly of your SELF because your “SELF” resonates to a very HIGH frequency! When you “think highly” of your SELF, you will have unconditionally loving interdimensional thoughts and emotions. These higher frequency thoughts and emotions will guide you to more swiftly become your SELF in your daily 3Dlife. The Ascended Masters had to spend many decades learning to become the Masters of their every thought and their every emotion. In order to gain this mastery, you must fully understand how your thoughts and feelings blend into one to become the fertile package of a reality. This “package of reality” will present itself in the Now in which you are THINKING with your Multidimensional Mind and FEELING it with your High Heart. Once you get to the state of consciousness in which you are thinking in an interdimensional manner, you have likely already remembered many of your other incarnations. Therefore, you can remember all the other lives in which you tried to ascend and could not. Or, perhaps, you can remember a life in which you tried to Ascend and did. Can you look at these lives free of your ego’s shame and/or conceit? Can you look at these lives free of any need to perceive that you did something good, or you did something better? As soon as you think of your Self in terms of either “good” or “bad” your consciousness lowers because these terms are judgments. The process of Ascension is not a reward. The process of Ascension is as natural to your Lightbody, as death is natural to your physical body. In your third dimensional life, you are born, you have a life, and then you die. Conversely, your fifth dimensional Self knows that you are a Multidimensional and have volunteered to take a third/fourth dimensional body. Your Lightbody SELF knows that you will use your physical vessel for as long as you need it to fulfill your mission. When your mission is complete, you will return to your true Multidimensional Self. However, within this NOW, there is another option for your fifth dimensional Lightbody SELF in that it can also choose to populate fifth dimensional New Earth. With either option, you will return to the NOW of the ONE to find all expressions of your SELF – waiting to embrace you with Unconditional Love.